Got a bride to be who loves an adrenaline rush? Then we can tailor an adventure that fits like Cinderella’s slipper, we’ll make sure the bride has a blast while cramming some fantastic firsts into her final fling before the ring! Got a hen who prefers mud to makeup? Then our adventure challenge is perfect to get the girls laughing, screaming and racing for the around! We’ve hidden clues around an assault course, in caves and over the sea. Explore, scramble and paddle your way round our course following a map to win the treasure! 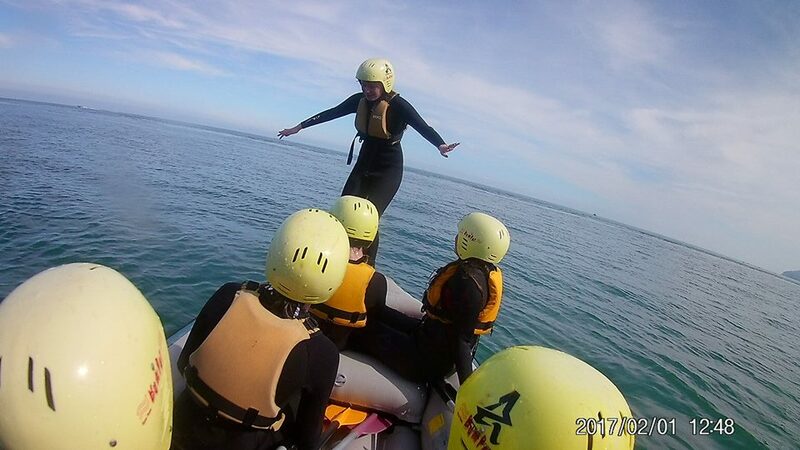 If you want a wet ‘n’ wild hen weekend then look no further than our coastal rafting. Perfect for mixed groups we can make it as extreme or as chilled as suits you. 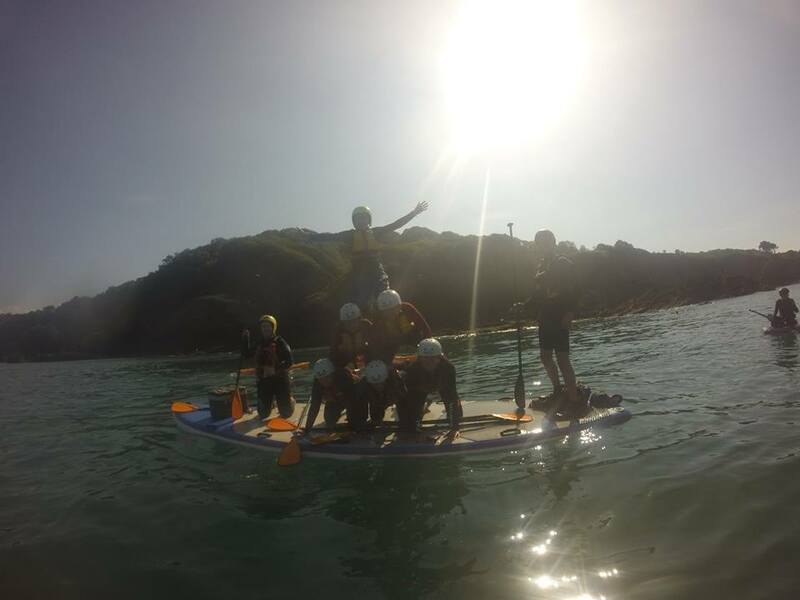 We have optionalrock jumps, team games and a beach fire with some lovely bubbly on a secluded beach. Whichever activity you chose you’re sure to have an adventure that will have the girls talking long after the wedding bells. You can all enjoy our clubhouse with a cafe and bar on site, overlooking the cove. We can provide delicious hot and cold meals and drinks so you can refuel for another activity - or the night ahead. We can help you put the whole weekend together. We have contacts with a few lovely local places that offer accommodation to hen groups. 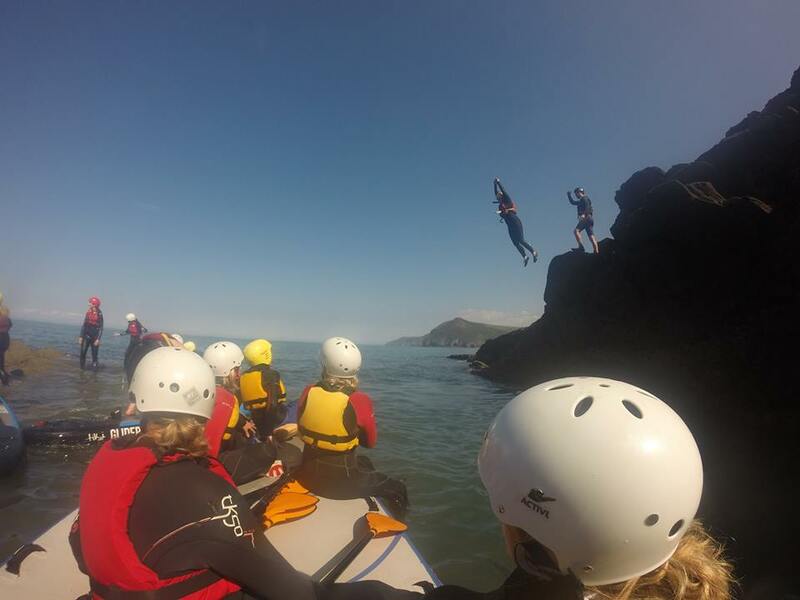 Our HQ is in Watermouth Cove in Ilfracombe and it’s our most popular spot with exclusive access to stunning private coastline and caves (not to mention the hot showers, bar and changing areas).